British and American regulators are going to get together in a war room and imagine what would happen in the two economies if a giant bank crashed. Their aim is to use the simulation to determine how well their two financial systems would cope with the fall-out and observe what the officials would do. The UK’s Chancellor of the Exchequer and his counterpart US Treasury Secretary Jack Lew will conduct the first-ever combined exercise on Monday. The scenario will be the collapse of a large bank operating in both the US and UK, and observing how the crisis would be handled. Janet Yellen, Federal Reserve Chair, and Mark Carney, Governor of the Bank of England will also take part in the dummy run, as will several heads of several regulatory agencies. The get-together will be hosted by the US Federal Deposit Insurance Corporation. 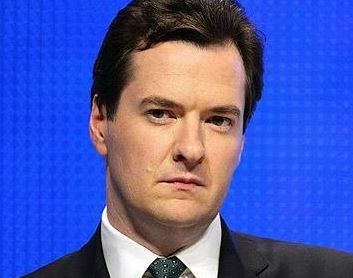 George Osborne is convinced the banking bailouts of a few years ago will not happen again. The global financial crisis struck six years ago. It cost taxpayers in North America, Europe and many other countries trillions of dollars in bailouts. Giant banks were saved because lawmakers and regulators feared that the consequences for whole economies and the world would have been catastrophic. Today, regulators and political leaders aim to prove that they have introduced regulations whereby this will no longer be necessary, i.e. a large bank could be allowed to crash without having to use taxpayer’s money, and the system would withstand the fall-out. Regulators have made financial institutions increase their debt capital and equity buffers. They have also been ordered to write out ‘living wills’ – plans explaining what they would do in an ordinary bankruptcy. Salvaging a giant multinational bank has proven to be a delicate issue. Regulators do not trust each other, believing the others will first do whatever they can to protect the domestic operations of a failing bank, possibly at the expense of its activities in other countries. On Monday’s practice there will be two scenarios: a US bank with UK operations fails, and a UK bank with US operations collapses. After the exercise, all the participants will communicate their findings with one another and talk about them.